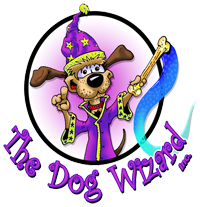 The Greenville Dog Wizard is a dog training company that seeks to make humans’ lives easier and dogs’ lives better. Don’t let yourself become a statistic or “put up with” an unruly dog. We can give you the well-trained dog you desire; a dog that will “Come” every time when called and that does not jump on people or destroy your home with our in home dog training program. We can even guarantee that your dog can walk off leash. Honestly, the possibilities are endless for your canine companion! And what does your dog get out of all this dog behavior training? He gets to go on more walks, visit new places, and most importantly be more involved with the family. If you are unsure of the capability of our methods to work with your dog, don’t be. We offer free evaluations and guaranteed results or your money back. What have you got to lose?